LAHORE, Pakistan (Morning Star News) – A Muslim high school student accused of killing a Christian in Pakistan has been freed on bail due to gaps in police investigations, sources said. 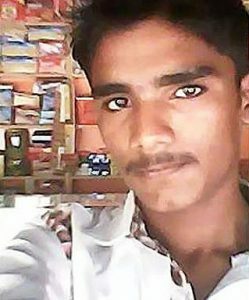 Sharoon Masih, 17, died on Aug. 27, 2017 after Ahmed Raza beat him for drinking water from a glass used by all students in a classroom in Punjab Province’s Vehari District, as Raza considered Sharoon an “unclean” Christian, according to the deceased’s father. Ilyasab Masih said he based his account on what Muslim student witnesses had told him, but that they later changed their story. His son was the only Christian in the class. Masih said Raza’s family has offered him more than $27,000 to settle the case, which he has refused. Prosecuting attorney Allah Dad Khan said a police First Information Report (FIR) and post-mortem report left several gaps that enabled Raza to obtain bail on Jan. 8 from the Lahore High Court’s Multan bench. The FIR drafted by police states that Sharoon’s father had witnessed the accused beating his son, though Masih was not present at the time of the attack, Khan said. “The defense will use this factual error for its benefit in the trial court,” Khan said. The FIR states that in the course of Raza kicking and punching Sharoon, he hit him fatally in the abdomen, Khan said. By stating that the cause of Sharoon’s death was “uncertain,” the medical officer gave the court reason to give the accused benefit of the doubt, Khan said. The lawyer added that he had presented various media reports in court stating that the accused was trained in karate and had the ability to level fatal blows. The court rejected the arguments on grounds that media reports were not admissible. Khan said it was unfortunate that Raza will eventually go free due to the weak FIR, which police registered in the absence of any legal representation for the deceased’s family. The court then ordered Raza’s release on bail of 200,000 rupees (US$1,804). Ilyasab Masih said Raza’s release brought shock and grief to the family, and that he was losing hope for justice for his slain son. Masih, a father of five who works at a local wood-cutting factory on a meager salary, said that he was disappointed with the aid offered by some Christian organizations, church bodies and government officials. The British Pakistani Christian Association (BPCA), however, reports that Masih omitted mention of its support for him. Morning Star News confirmed that Masih’s family had received such financial support from the BPCA. Sen. Kamran Michael, Federal Minister for Human Rights at the time of the attack, also visited his home and assured him that he would go to any extent to ensure justice for Sharoon, Masih said. Sen. Michael did not respond to efforts to reach him for comment. Attorney Khan said that the defense had attempted to get Raza tried as a juvenile, but that prosecutors successfully contested this by having a six-member medical team conduct ossification tests and declare him between 18 and 20 years old. Asked whether he will challenge the bail, Khan said he had not yet been approached by the engaging authority, the National Commission for Justice and Peace (NCJP), to file an appeal. “I tried my best to thwart the bail, but there’s little that I could do in the face of a weak FIR and post-mortem report,” he said. NCJP Executive Director Cecil Chaudhry, Jr. told Morning Star News that the NCJP will challenge the bail. “The delay occurred as we could not get Ilyasab’s signatures, and also because of lawyers’ strikes in Multan over relocation of the courts,” he said. Christian rights activists Rufus Solomon and Riaz Anjum said the bail points toward a high likelihood that Raza will be declared not guilty. Solomon criticized government ministers and police for distorting the facts to hamper justice for the aggrieved family. 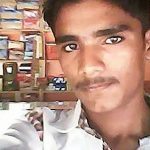 After Masih heard about the attack at the school and rushed to the hospital, classmates of Sharoon had told family members that Raza started a fight with Sharoon because the “unclean” Christian drank water from a glass used by all students. The students who said that Raza had become aggressive over Masih drinking out of the glass changed their statements, however, so Masih decided not to mention it in the FIR he filed at the Model Town Police Station in Burewala on Aug. 30, he said. Police told Morning Star News that Raza had confessed to involuntary manslaughter, but that the killing was not religiously motivated. Raza told them that Sharoon inadvertently stepped on his mobile phone that was in his schoolbag, triggering the assault, but that he did not mean to kill him. Police told Masih that they had taken statements from the entire class, sub-staff and faculty of the school, and that no one had corroborated the family’s assertion that students had said the fight was a result of religious prejudice.